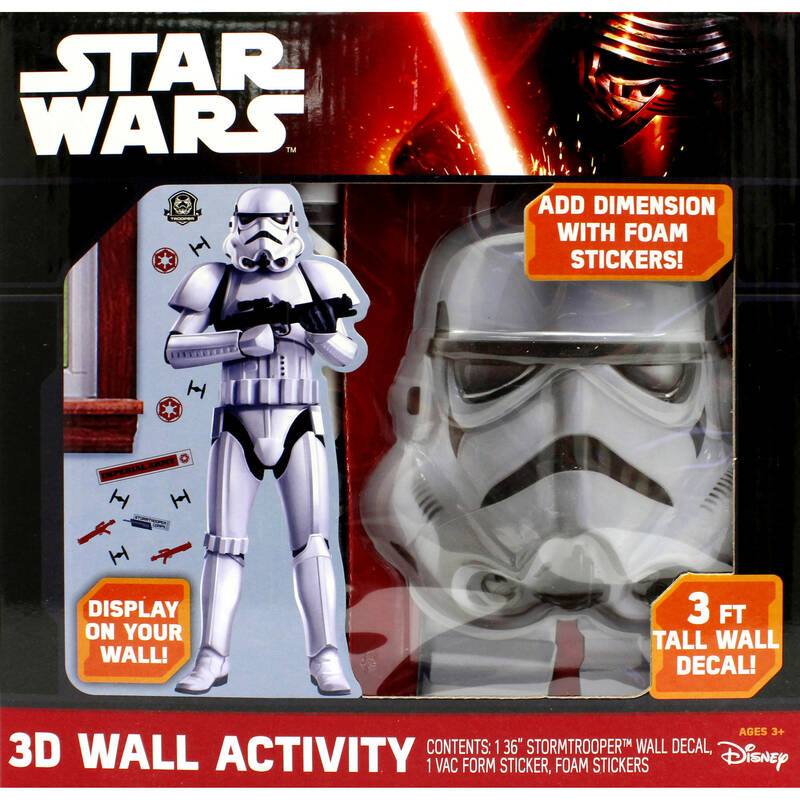 New Force Awakens 3D Wall Decal Activity Set now available! 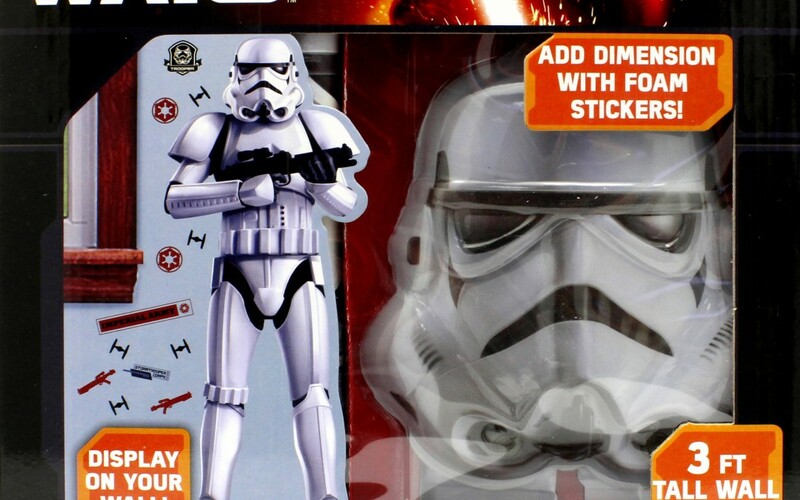 Walmart has debuted a brand new Force Awakens themed item: a 3D wall decal activity set! This set costs $4.58 and shipping is free. Simply Peel, Position & DISPLAY!! Create an awesome 3 foot tall wall decal with dimensional and colorful stickers! 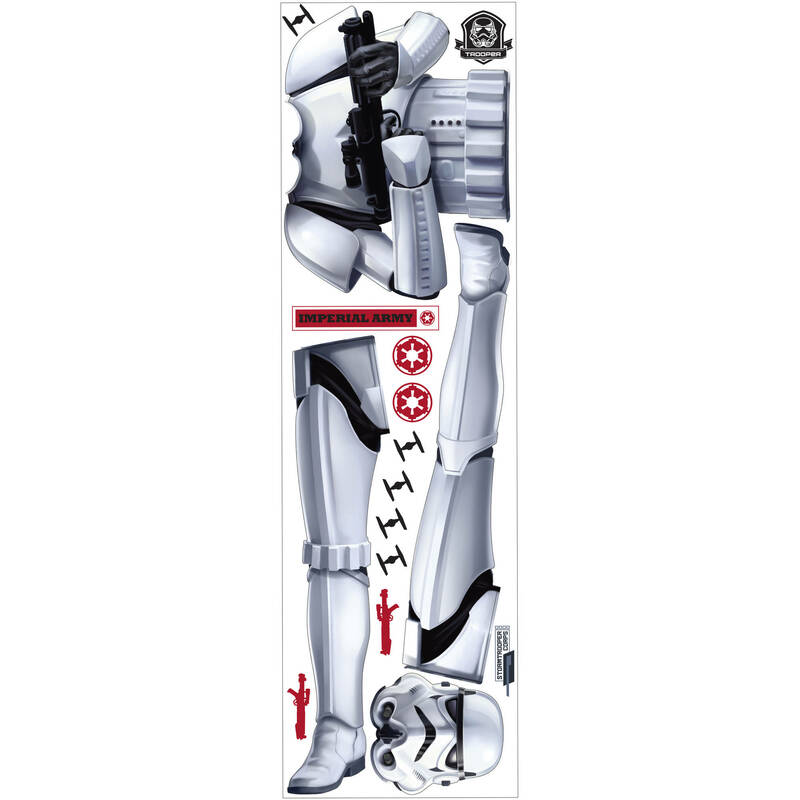 Wall decal sticks to most wall paper and painted walls. Easy to assemble, fun to display!